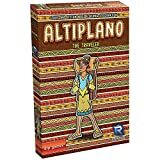 In Altiplano , there are plenty of possible actions, and there are many paths to victory. Here are some tips to help you get started. Don't forget food. Each player starts with 1 or 2 food tiles. That is precious little for an entire game, since food is needed not only for all productions but also for extra movement. It 's a bitter feeling if you are able to move your pawn only once in a round! Set yourself up to produce more food (using fish or alpaca) over time. However, too much food is not good either, so find an appropriate balance. Exchange fish. With fish, you can readily get food, but don't overlook the fact that you can exchange fish for goods. As a basic action, you can only exchange 2 fish for 1 stone, but there are some extensions that make fish useful for other exchanges. Store at the right time. Beginners often underestimate the warehouse. Storing goods helps you manage the tiles in your bag, but it can also be a major source of points. For example, if you collect many different types of goods to begin with, you can start many rows and then complete only the more valuable rows in the right depot. Boats are an alternative. There are many goods, but you don't have immediate access to all of them. 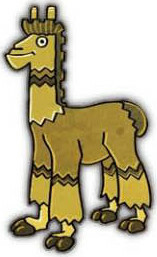 Without alpacas, for example, you can't get wool, and without wool, you can't produce cloth. Extensions are one way around this, but another option is the boats. Each boat comes with a certain good. Pay attention to goods that give you access to other goods: A cloth tile is worth 3 points, but you can use a wool tile to produce cloth again, or an alpaca tile to produce wool and then use wool to produce cloth. Use coins cleverly. Coins aren't worth any points in the end, so it 's pointless to hoard them. If you get a market extension, you can gain goods that way - provided you earn enough coins - without having to use tiles from your planning spaces. Coins thus give you additional action possibilities.